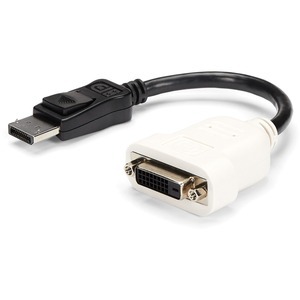 This DisplayPort to DVI adapter lets you connect a DVI-D display to a DisplayPort video source (e.g.DisplayPort video cards, etc. ), eliminating the expense of having to upgrade to a DisplayPort capable display. This adapter supports display resolutions of up to 1920x1200 allowing you to take full advantage of single link DVI capability.